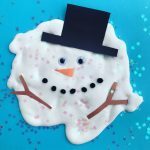 I’m a sucker for handprint crafts! 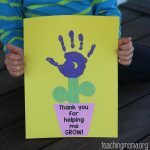 I love receiving homemade gifts from my kids with their handprints on them. It’s such a cute keepsake! 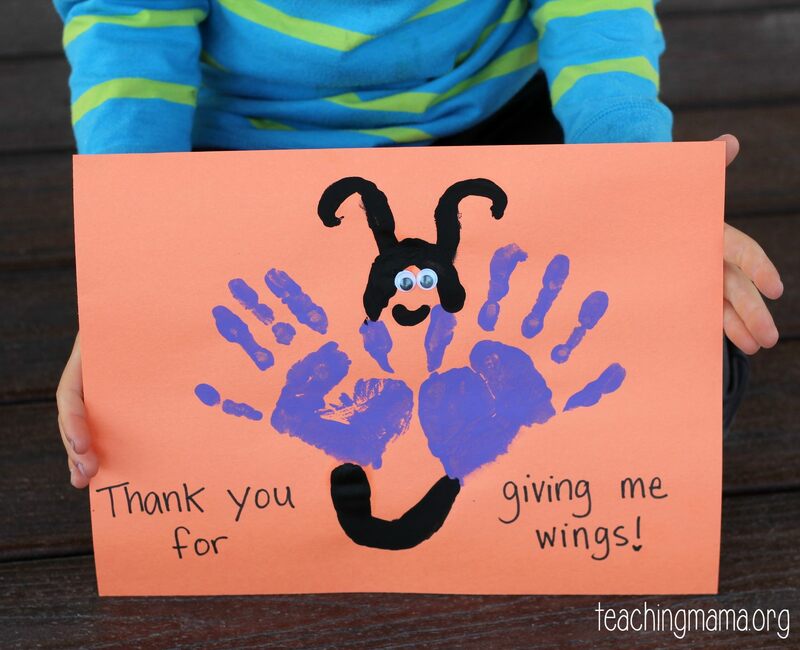 Today I’m sharing with you a butterfly craft using handprints and the phrase “Thank You for Giving Me Wings”! This idea actually came from my 5-year-old. He wanted to make a butterfly using his two handprints. Then he came up with the idea of drawing the butterfly body in black and adding the antennas. I think it is so cute! I added the phrase “Thank You for Giving Me Wings” onto the paper. 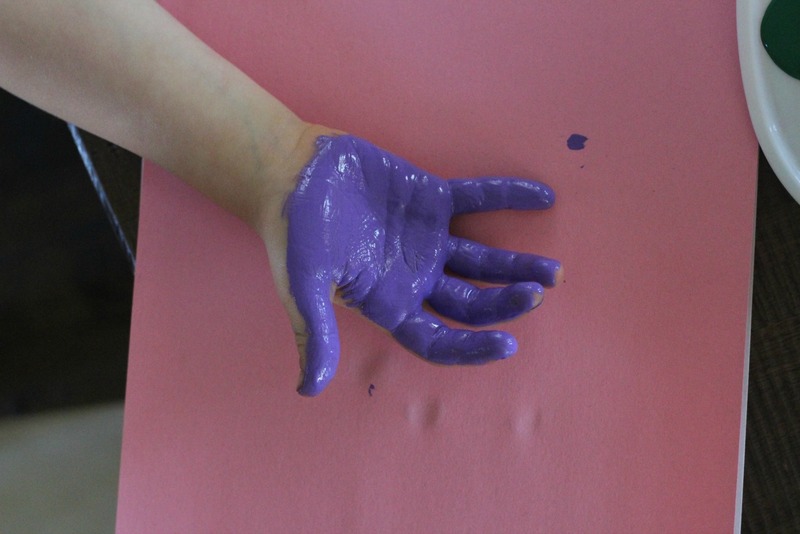 Begin by painting your child’s hands with paint. Coat it really good! Then lay their hands onto the paper to make their handprint. Draw the butterfly’s body and antennas with black paint. Add a mouth and googly eyes. Let it dry and then give it away as a gift! 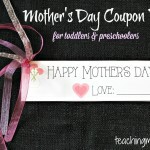 This would be an adorable gift to give for Mother’s Day or even to a teacher! 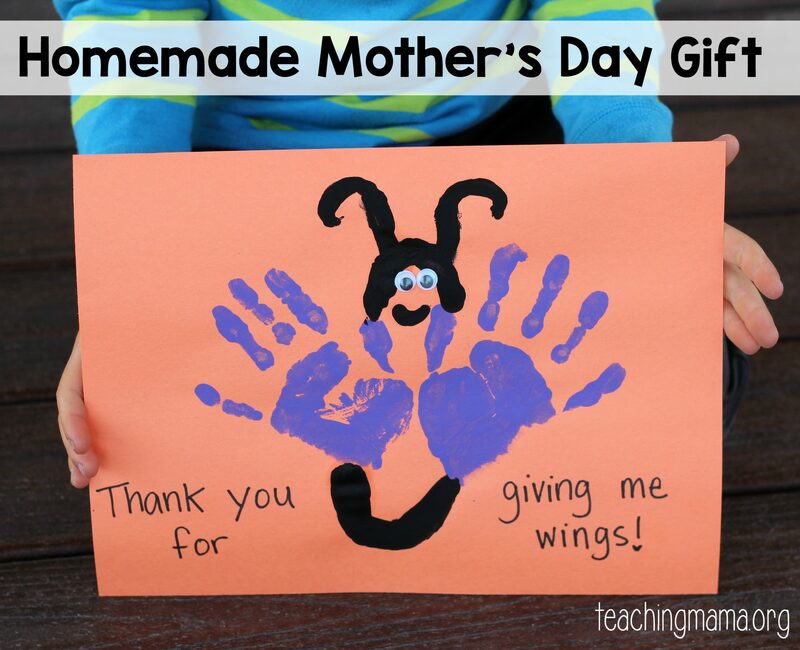 Also, make sure to check out the other handprint craft idea I posted about earlier this week. Thanks for the conception! it’s very helpful for my daughter who loves so much butterflies. 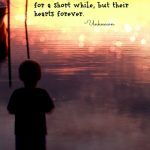 Thank you for your blog. It’s really helpful. 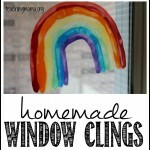 I just love the simple DIY yet crafty activities you share on your blog. 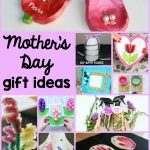 Ideas are useful for homeschoolers. It’s AWESOME.